Marc Forster attends the IWC Schaffhausen Party during the Salon International de la Haute Horlogerie at Geneva Palexpo on January 20, 2009 in Geneva, Switzerland. 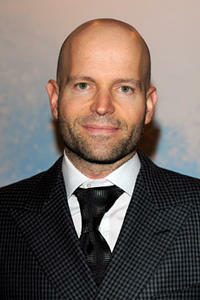 Director Marc Forster on the set of "World War Z." Director Marc Forster and Gerard Butler on the set of "Machine Gun Preacher."